Last summer, after an active couple of hours at our neighborhood beach, my daughter walked a couple of blocks home to grab something to drink. 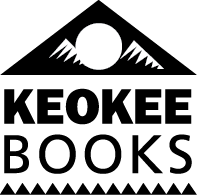 She returned empty-handed, saying, “I couldn’t get in the house because a moose was napping by the door.” This isn’t a child with an overactive imagination. 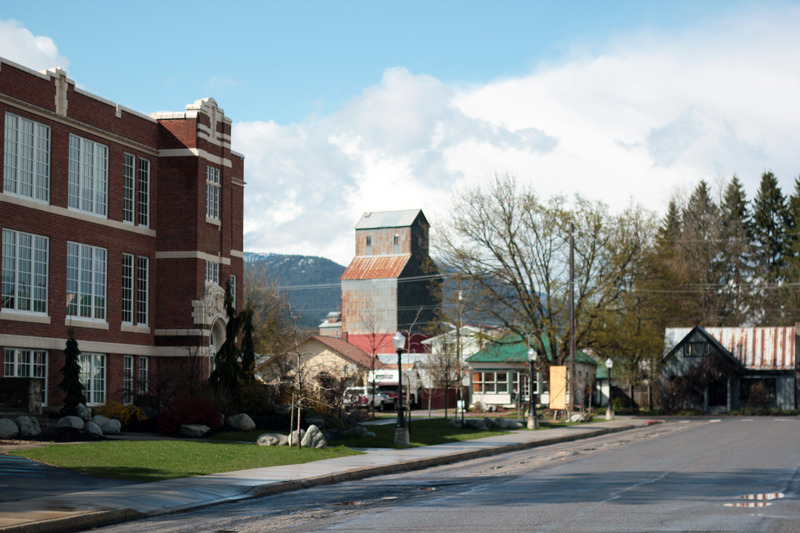 Many Sandpoint area residents share similar tales of our wild neighbors who wander through neighborhoods and downtown. We are fortunate to live where our kids are faced with the conundrum of moose guarding doors rather than the type of violence that proliferates in other areas. Coexisting peacefully with local wildlife can be a challenge, especially for residents unfamiliar with the needs of the animals. 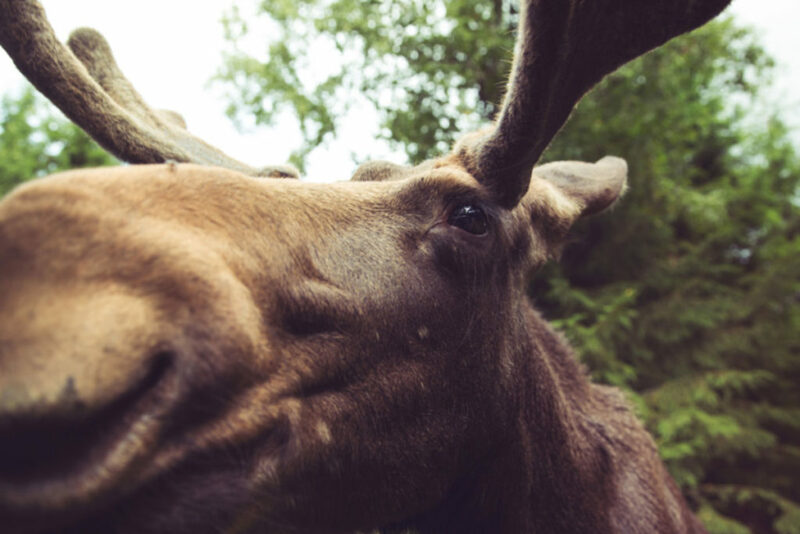 The name moose comes from the Algonquin word “mooswa,” which translates to “twig eater.” Twigs, along with leaves, bark, and aquatic plants, provide the primary forage for moose. Coincidentally, landscapers and moose often prefer the same species, such as willow, fruit trees, aspen, and birch, which can cause some landowners angst as they watch Bullwinkle cheerfully devour that beautiful new willow. Unfortunately, some folks feed wildlife food we view as more palatable than their natural diet in hopes of keeping them from eating the ornamental vegetation we planted. To minimize moose visits to your yard, consider planting species that wildlife find less palatable—fewer tulips and willow, more foxglove and mint. Your human neighbors will also appreciate the mint for refreshing summer drinks. Feeding moose is a dangerous proposition. Children’s book author Laura Numeroff warned us in the book “If You Give a Moose a Muffin,” a moose will then want another and another, and then some jam to go with it. Once accustomed to handouts moose will expect them and can become aggressive if the freebies don’t continue. An aggressive moose, weighing an average of a half a ton, can be dangerous. If left alone, moose will typically move through an area, but sometimes they overstay their welcome. Providing supplemental food for wild animals may make us feel like we are helping them, but it can be lethal and no one wants a 1,000 pound dead moose in their yard. Moose, like cows and all members of the deer family, are ruminants. This means they acquire nutrients by fermenting plant-based food in their four-chambered stomachs. They can’t digest their diet directly because they lack the enzymes necessary to break down the cellulose found in the cell walls of plants. The first chamber, or rumen, maintains relatively neutral pH, but if the pH falls and becomes acidic, the animal can suffer from potentially fatal rumen acidosis. When moose and deer are fed a diet they are not accustomed to, such as corn, they run the risk of acidifying their rumen to dangerous levels. Many states outside of Idaho have laws in place prohibiting feeding wildlife to protect animals and people. Northern Idaho, especially the Sandpoint area, has abundant habitat where moose can thrive, which can lead to a hearty population of our sometimes unwelcome wild neighbors. People often call Idaho Fish and Game and ask to have a moose removed; however, moving a moose is not a desired course of action. 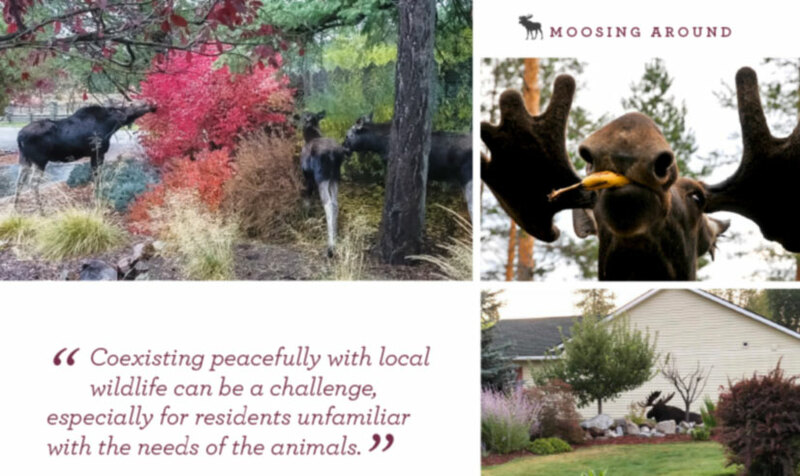 Tranquilizing and transporting a moose presents a new set of dangers to the public and the animal due to the necessity of shooting darts filled with powerful tranquilizers, which go flying through people’s yards. Moving wildlife in winter is especially challenging due to limited accessible locations to relocate the animals. Relocating wildlife is oftentimes unsuccessful; success rates can be as low as 20 percent in some populations, especially when animals try to return. Relocation of any wildlife is used only when the animal poses a public safety hazard and as a last resort.